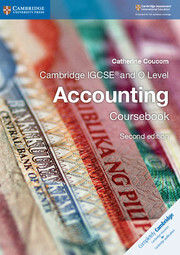 Covers the Cambridge IGCSE Accounting syllabus (0452) and Cambridge O Level Accounting syllabus (7110), first examination 2020. Save time planning with a complete lesson idea and multiple-page worksheet for every coursebook chapter, plus scheme of work all written by experienced examiners. 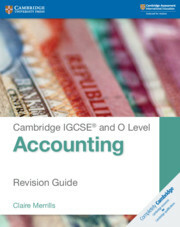 This Cambridge Elevate Teacher’s Resource is part of the largest suite of endorsed materials for the Cambridge IGCSE Accounting syllabus, which gives you 70% more practice than the previous edition. 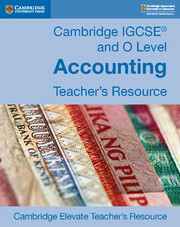 The teacher's resource includes answers to the large amount of coursebook and workbook questions so you can mark quickly and confidently. 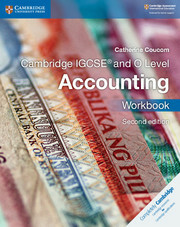 If you wish to buy this resource, we will email you a book code - please contact your sales consultant or customer services. Your digital teacher's resource gives you access to the tools you need to plan your teaching; choose from editable Word files or PDFs for lesson plans and worksheets. Save time on preparation and planning with a scheme of work. 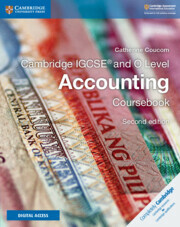 Answers to coursebook and workbook questions help you mark quickly and confidently. Cambridge Elevate is simple to navigate and personalise – highlight text, annotate, create voice notes, or organise your table of contents.